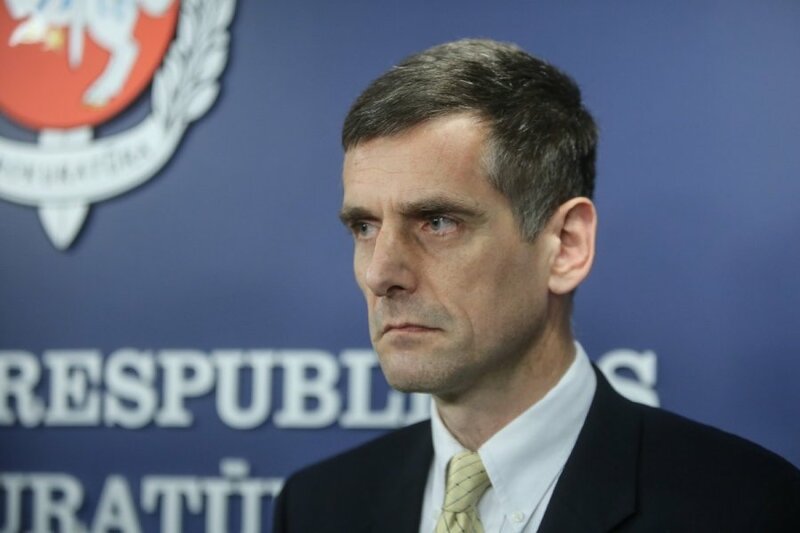 After identifying persons who spied for Belarus, Lithuania's special services attempted, unsuccessfully, to re-recruit them, says the State Security Department's Director General Gediminas Grina. "This is our main objective – to attempt to draw the persons (to our side) after analysing the situation. (…) I must admit that we failed in doing so. This shows once again that the people are rather motivated," Grina told the national television LRT on Sunday evening. In his words, although the former Lithuanian army paramedic and engineer of the state-run company Oro Navigacija (Air Navigation), who are currently facing spying charges, were rewarded for the information they sent to Belarus, "there could have been an aspect of ideological motives". "This may be difficult to state openly, but cannot be ruled out. If certain services manage to find such persons, it is already a success," Grina added. "Yes, they received pay, however, I cannot state openly what they made but this involved a certain marketing criteria, if this can be put in these words. Nobody pays money for nothing – the more information you bring, the more money you get," said the head of the State Security Department. In November and December, the Lithuanian Prosecutor General's Office said it sent two cases to court where two Lithuanian citizens were charged with spying for Belarus. On 10 November, a Vilnius court received a case of Lithuanian citizen Romualdas Lipskis who was formerly employed at Oro Navigacija and spied for Belarus. On 3 December, the court was handed a criminal case where spying charges were brought against a Lithuanian citizen who formerly served as a paramedic at the Lithuanian Armed Forces. The State Security Department says both Lithuanian citizens were recruited by the Central Intelligence Board of the General Staff of the Belarusian Armed Forces.